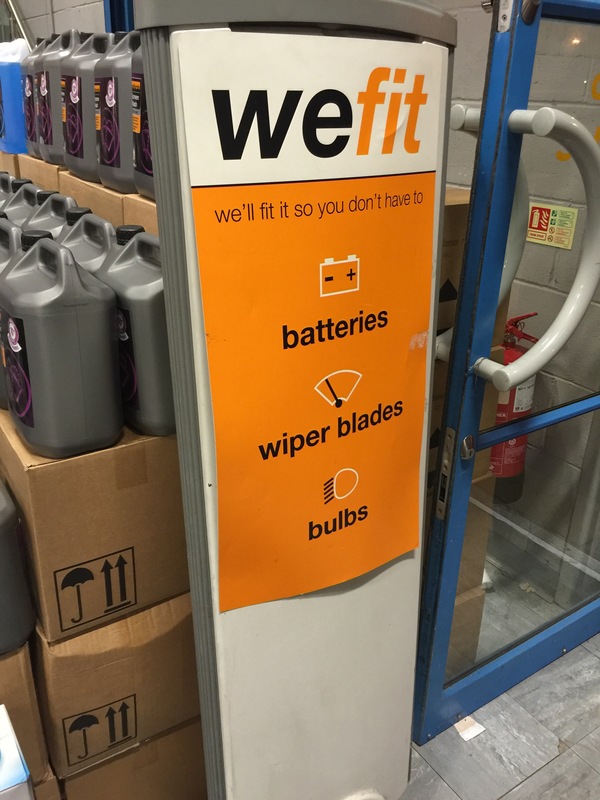 Halfords WeFit service is beyond brilliant … They offer fitting services for car bulbs, batteries and wiper blades. The latter two may be simple but bulbs are fiddly little blighters … For only £6.99 they fitted the bulbs in a jiffy, in fact so speedy were they that we did not even have time to avail ourselves of a new Vanilla scented Little Tree car freshener! So when I made my Limoncello a couple of weeks ago using the zest of the lemons, rather than wasting the rest of the lemons I juiced all six and made a sorbet for over the festive period. TIP : this will last in the freezer unopened for a month or so but once you have opened and served from the container you should use within a week as ice crystals form. Also homemade sorbets tend to defrost more quickly that shop bought versions. Stir thoroughly and then pour into a plastic container and freeze. 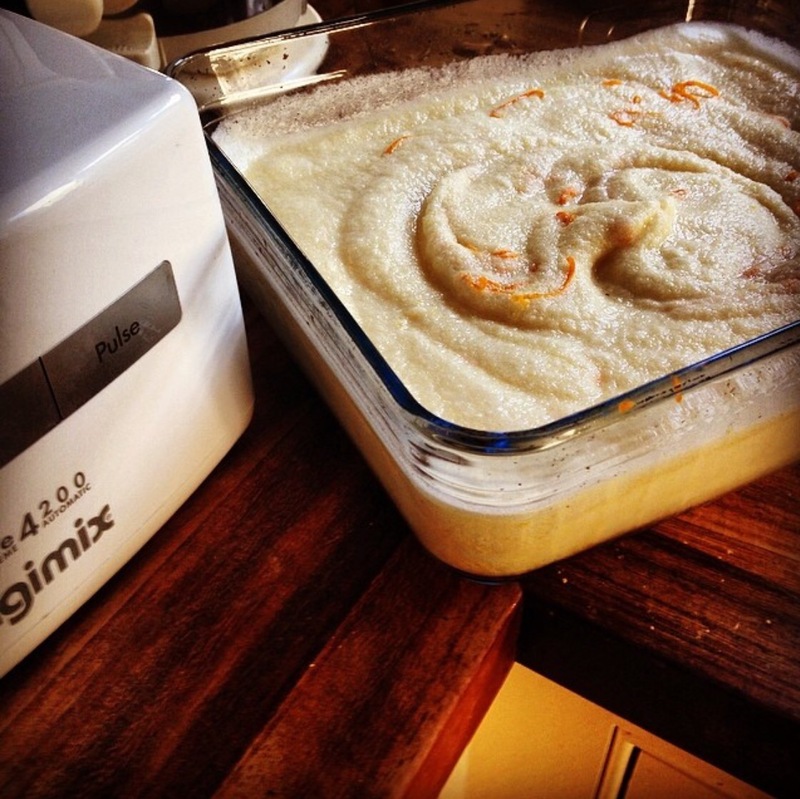 When frozen, remove from freezer – break into pieces and place in Magimix (or other food processor) – whizz to a creamy texture. In a large mixing bowl whisk the egg whites to stiff peaks and then fold in the lemon mixture, return to a plastic container and freeze until solid. FortyTen not only saw a surfeit of new body hair but also an escalation in my loss of vision For several years I have fought the scourge of mid-life macular degeneration, resisting wearing glasses for as long as possible. I have super sized my phone, my kindle is set to a ridiculously large font AND I put my make-up on with my nose pressed to the mirror. Having seen Mr H become almost partially sighted overnight with the advent of his own spectaclage some years ago I thought my avoidance may postpone the inevitable. It is a cruel irony that as we reach that time of our lives, so called ‘mid-life’, to see anything we need an unforgiving and harsh retina-burning white light that catches and accentuates every wrinkle and unthreaded whisker! And further down the line when the shortness of our arms prohibits bringing menus into focus, the required magnifying properties of glasses do just that …. Magnify those crows feet to Ostrich dimensions. And still the situation worsens. .. to further add to my shame at having to wear glasses, I am now so mightily hacked off at having to retrieve said specs from my bag each time I need to check the price/size of any item whilst shopping, (made all the more abhorrent as I battle with the finger-nipping case wherein they lie), I have invested in a spectacle chain. No longer am I channelling geek-chic, oh no, I am now chanelling doyenne of Radio 4, presenter and advocate of the fancy glass chain – Ms Jenni Murray. 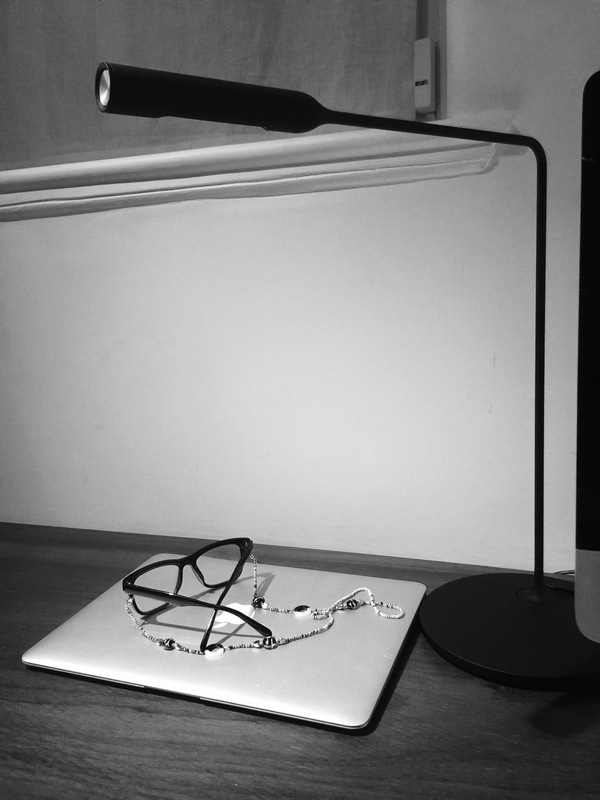 As I searched for something discrete and innocuous to keep my glasses near, I was surprisingly drawn to something altogether more fancy than what I had anticipated choosing. A full-blown Hinge & Brackett worthy bejewelled chain!! I love the freedom it has afforded me, no longer am I cursing and muttering as I wend my way up and down the aisles of Waitrose, no more throwing tissues, gum and handbag detritus during a mad search for my glasses to key in my PIN – no there they are, swinging above my ample bosom, ever present and handy, capturing any stray morsel that may drop as I am eating … Collecting crumbs, the adult version of a pelican bib … Oh how I hate getting old!! But wait …. Hot off the press from a very beautiful and hip ski seasonaire, these jewelled chains were ALL the rage in Morzine last year … I’m back to cool! When life gives you lemons …. 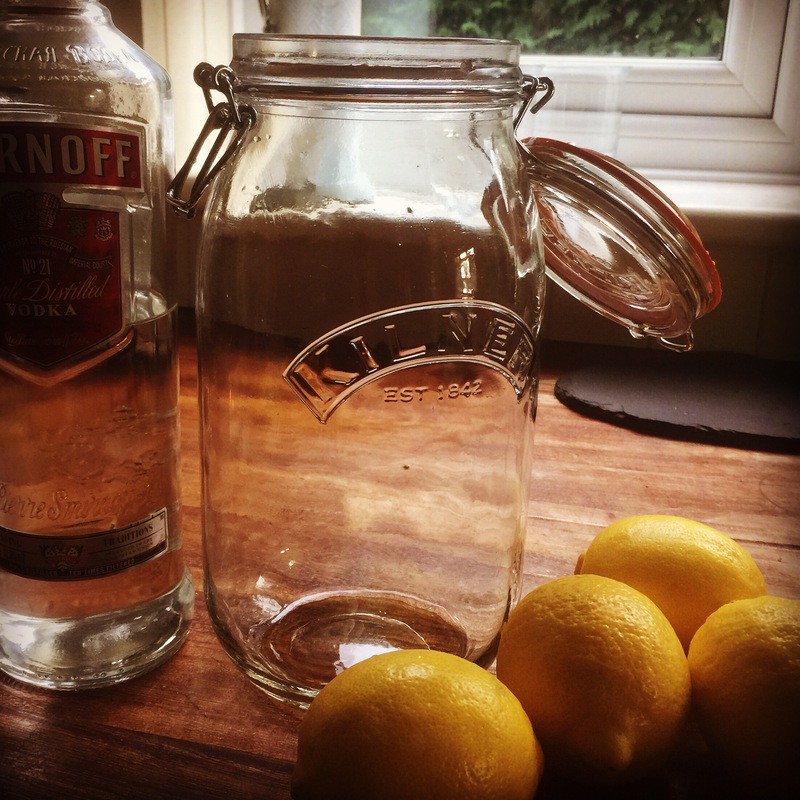 Grab some vodka and make Limoncello! I love giving gifts of food I have made to friends and family at Christmas time and each year promise myself that I will make some Sloe Gin, but of course Sloe Gin needs to steep for about 12 weeks which means by the time the sloes are ripe there is insufficient time to prepare for Christmas. Sloe Gin is the long game but Limoncello on the other hand is quick and easy and takes only a couple of weeks until it is drinkable. The recipe below has worked perfectly and mine is ready to bottle and give as gifts over the coming weeks. Add the vodka and leave to steep for one week. Turn the jar each day. At the end of one week, make a simple syrup by dissolving the sugar and water in a pan. Bring to boiling point but do not allow the syrup to turn a caramel colour as this will spoil the look of your Limoncello. When cool, add to your lemon vodka mix and leave for another week. Again turning each day. When you are ready to bottle, strain through a fine sieve or muslin and pour into your bottles. Label and gift to those deserving friends on Santa’s Nice not Naughty list. This sweet lemony syrup is delicious over ice, in iced tea, in cocktails or drizzled over ice cream or sorbet!